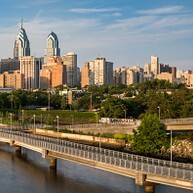 As the birthplace of America, Philadelphia has endured centuries of peril, challenges and conquest, and remains one of the nation’s top attractions. 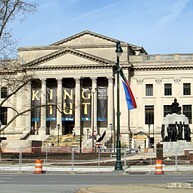 Historical buildings, sculptures and murals line streets that were once walked by the Founding Fathers of the United States. Weather varies throughout the seasons, vacillating between mild springs, hot summers, and chilly winters, but people can always be seen out and about in the City of Brotherly Love. Opening hours: General shop hours are Monday through Saturday, 10am or 11am to 5pm or 6pm. Historical landmarks and beautiful scenery await visitors to Philadelphia. Its identity as a cultural epicenter has lent to an array of sights and memorable experiences for everyone. Fun may be found on land or on the water in the City of Brotherly Love. Freedom is inlaid with every brick of its architectural facade, while history wafts in every room and corridor. 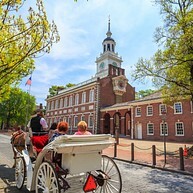 As the site of independence for America, Independence Hall served witness to the signing of the Declaration of Independence and the U.S. Constitution. Generations of visitors have ventured through time in the Assembly Room, Courtroom of the Pennsylvania Supreme Court, Long Gallery, Governor’s Council Chamber and Committee of the Assembly Chamber. Myriads of historical figures have tread through Independence Hall, including Benjamin Franklin, Abraham Lincoln and others. Liberty has been a grand achievement for peoples throughout history, and the historic Liberty Bell serves as a testament to America’s own piece of freedom. 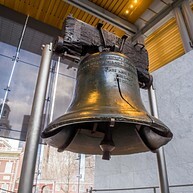 Named by abolitionists during the struggle to end slavery, the Liberty Bell traveled the nation following the Civil War as a symbol of freedom and healing. Now it stands proudly for all to partake in its message of equality and liberty. Video presentations and exhibits display the Bell’s history, and multilingual tapes are available as well. 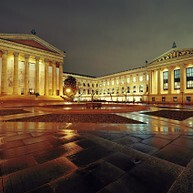 The Philadelphia Museum of Art offers an impressive array of exhibitions, collections, programs and entertainment as one of America’s largest museums. It boasts more than 227,000 pieces of art, and over 200 galleries feature paintings, decorative arts, sculptures, photography, textiles, paper works and feats of architecture from around the world. Children and family-oriented programs are included, as well as fascinating lectures, films and even concerts. As a beacon for the City of Brotherly Love, JFK Plaza gives way to Love Park—an epicenter of food, art, music and fun since its emergence in the 1960s. 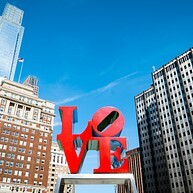 Robert Indiana’s renowned “Love” sculpture overlooks JFK Plaza, drawing kisses from countless locals and visitors for decades. But perhaps best known as the forefront of world skateboarding venues, Love Park made Philadelphia the only city to hold ESPN's “X Games” twice in a row. If you're struggling to find a place to take your kids in Philly - look no further. The "Please Touch" museum lives up to the promises of its inviting name and offers plenty of interactive exhibits for kids, and grown-ups are welcome to join in. Do not expect to admire trees and flowers coming to this "garden" - the showpieces here are the unique mosaics which artist Isaiah Zagar has been creating since 1994, turning the place into a fascinating maze of artistic craftsmanship. This Philadelphia market is an experience you shouldn't miss while in town. Drop into shoppes selling all sorts of edible delights such as candies, sauces and pickles and have lunch at the food stall of your preference - there are plenty to choose from. 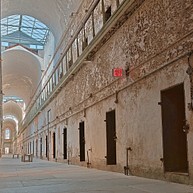 Formerly a prison holding the likes of Al Capone, this building is now more of an experience than a museum - take the guided tour through its cold, haunted hallways and learn about the prison's chilling history. Wear the red necklace if you don't mind being snatched away from the group by the "spirits" of deceased inmates. The trail is a great place to spend time outdoors while still in the vicinity of the city. Appropriate for biking, hiking, jogging or simply taking a walk by the river, this place is especially popular among locals during the summer months. 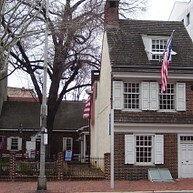 Once home to the legendary and loved American icon, Betsy Ross, the Betsy Ross House was built over 250 years ago. Before Ross’ inhabitance between 1776 and 1779, the house was occupied by artisans, shopkeepers, shoemakers and apothecaries. The eclectic mystique was bolstered by Betsy Ross, who became known for bringing the rebel cause to life with the sewing of the first American flag. Visitors are invited to tour the house and partake in the interactive exhibits and programs. Even meet the woman herself and listen to the stories and History Makers. 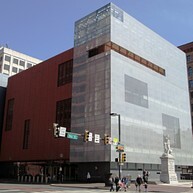 The National Museum of American Jewish History provides a comprehensive view into the history and times of American Jewish citizens. Each account of immigration is personal and fascinating, lending to the rich cultural heritage that is now available for everyone’s exploration. Core and special exhibitions connect people of all backgrounds to the capture of freedom to which millions have aspired for centuries. Afterwards, enjoy a cup of coffee at Pomegranates Café, where Kosher dairy products are available. The acclaimed Arden Theatre Company brings the spirit of performance to Philadelphia. The stage features productions of classics, music, dramas, epics and more. As a veritable hometown theatre, the Arden harbors a community of artists who paint Philadelphia with a pallet of culture and heritage. For children, the Arden provides theatrical and reading programs to promote literacy in the youth. Graced by scientific greats like Nikola Tesla and Philo Taylor Farnsworth, The Franklin Institute has been a model for technological and scientific exploration since 1824. Following the inquisitive spirit of Benjamin Franklin, The Institute has inspired generations of budding scientists and seasoned experts. Internationally renowned programs, exhibits, discussions and lectures have placed The Franklin Institute on the map for anyone seeking knowledge for the future. 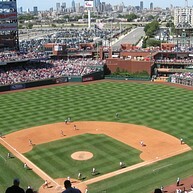 Home to the World Series champions Philadelphia Phillies, Citizens Bank Park is a 21-acre, state-of-the-art baseball stadium. Just outside of the stadium is the jubilant Ashburn Alley, where visitors and fans may watch batting practice or study up on Phillies history. The Phillies All-Star Walk, Phillies Wall of Fame and Memory Lane are located in the Alley. The familiar, delectable Philadelphia fare makes its way to Citizens Bank Park as well, reining in such accolades as "Best Ballpark Eats" by the Food Network. With a mission to promote the “advancement of education and the appreciation of the fine arts,” The Barnes Foundation has cultivated the vibrancy of art since 1922. The collections span impressionism, post-impressionism, modern, African, Pennsylvanian German, Native American and other periods of art. Renoir, Cézanne and Matisse are just several artists to have their masterpieces featured at the Barnes, and there is even a 12-acre plant collection in the Arboretum. 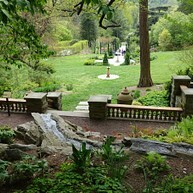 Championing education and community through the horticultural experience, the Morris Arboretum is 92 acres of fantastical gardens. There are 12,000 flowers, plants and trees all featuring labels, and tours are offered during the spring and fall. The Arboretum encourages you to explore the canopy walk, where a newfound appreciation for nature is sure to incur from the Tree Adventure exhibit.